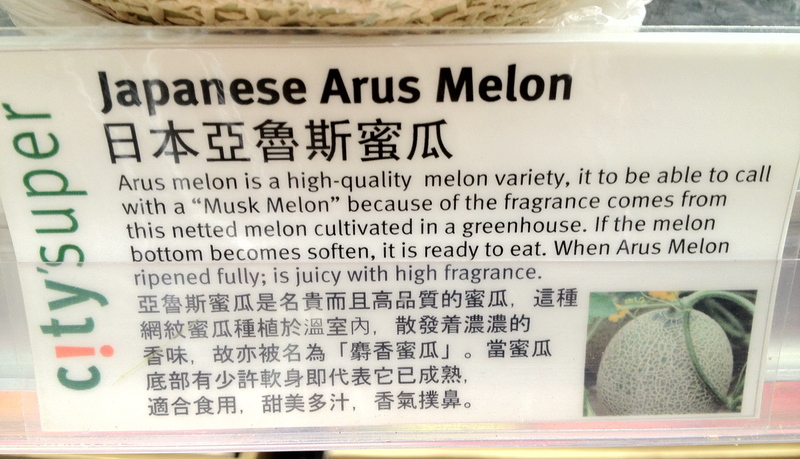 All hail the Japanese Arus Melon! 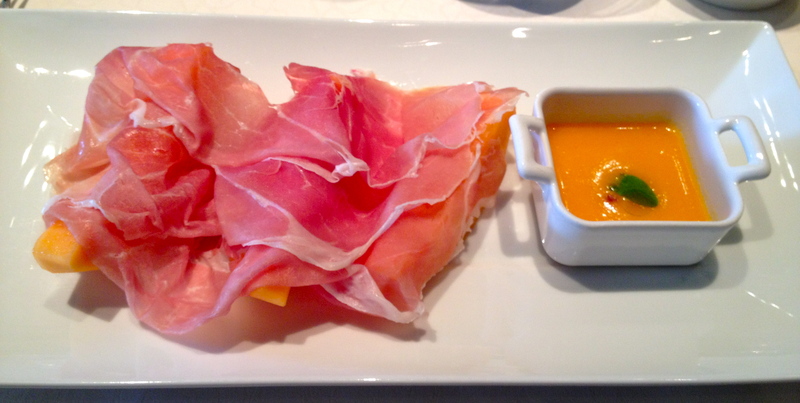 After lunch at Otto e Mezzo Bombana last week, where they served a simply exquisite melon with prosciutto, I’ve had melon on the brain. Melon, melon, melon. 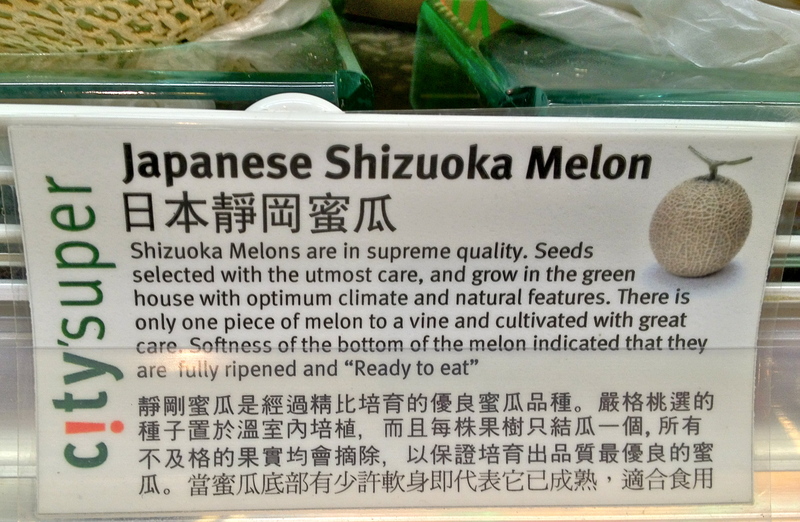 Where could I buy this melon? 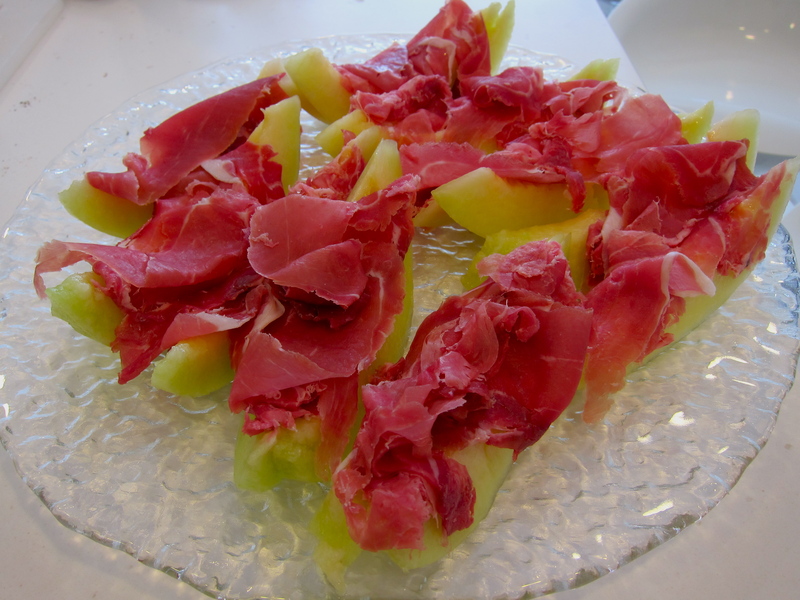 I wanted this melon at home, I wanted to cut it up and serve it on a pretty plate with some beautiful cured meats. I wanted to eat it again, and again. So on Thursday, I had a lightbulb moment. Who grows the best fruit in Asia – the Japanese. Where’s the closest place I can get Japanese fruits? Bing! I went straight to CitySuper, where I found two different melon options. Next to them was a sign for a gift wrapping option … this was not going to be a good thing for my wallet! 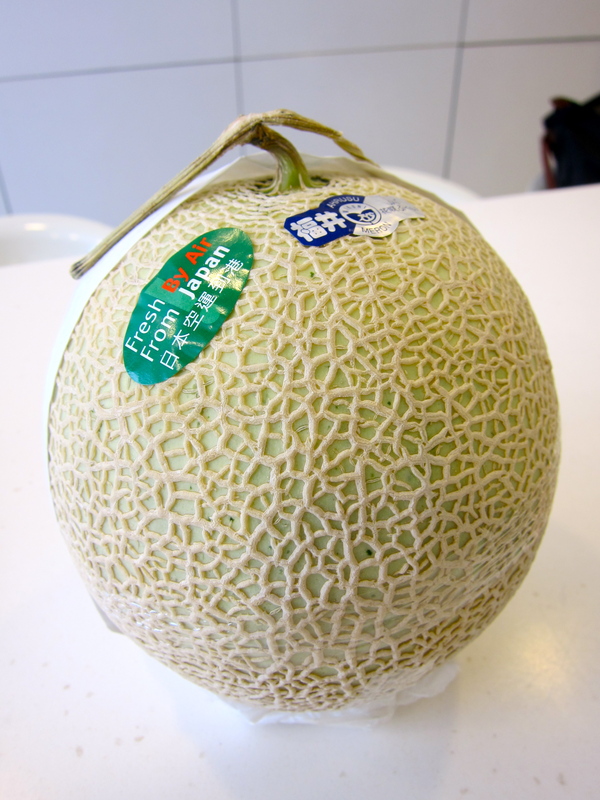 The Japanese Arus Melon is apparently called “the King of the Japanese Fruits”. It has a beautiful webbed pattern on its skin that looks slightly more perfect than other melons, but apart from that, it looked pretty much the same as any other melon. I asked one of the staff to help me choose one – I wasn’t going to fork out $288 for a melon that wasn’t perfect! I took very good care of my melon. As instructed, I put it in the fridge when I got home, then took it out to ripen more for a day, and returned it to the fridge in the evening to have it ready to eat for lunch the next day. There was only one out of 12 or so melons that was ripe enough in time, so I suggest you go to buy your melon 3 days in advance. So here it was on my kitchen counter, my precious! The colour doesn’t betray the sweetness of his wonderful fruit, but when I opened it up and scooped out the seeds the scent was so wonderfully sweet and delicate. I served this starter to my family and it was gone in moment. It was, quite simply, the most beautiful piece of fruit I have ever bought. Sweet, firm, musky, and refreshing. One melon can serve 6 people, but two I’m sure two would have been just as welcome. Try it yourselves, you won’t be disappointed.